PHDCC can build a custom app for iOS or Android - anything from a brochure app to display information to a fully interactive app with server interaction. 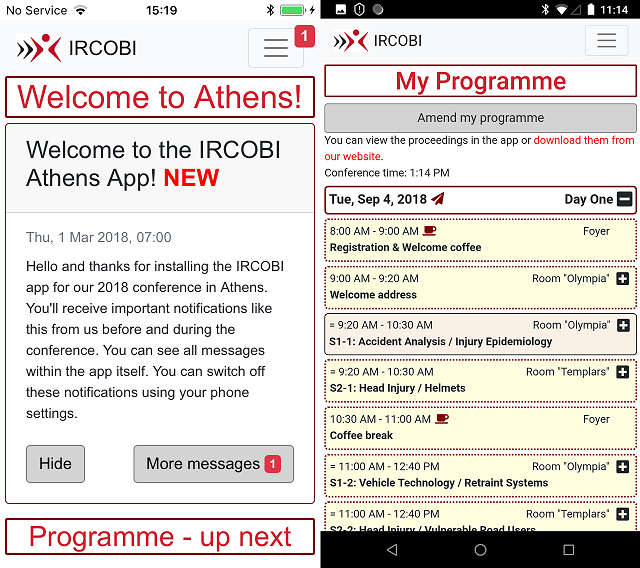 Get an interactive guide to your conference in a mobile app from PHDCC - fully customisable with your programme of events. Papers is an online system that lets authors submit abstracts and papers for academic journals and conferences - with comprehensive peer review, editing and administration facilities available to the organisers. We have years of experience of supporting and running volume web sites. Our consultants are available to meet all your needs. We build, configure and maintain Drupal and CiviCRM sites, with custom themes and code. We are DotNetNuke (DNN) Experts, writing modules and skins, and running volume sites. We work with local and international business clients, with non-profits, social enterprises and charities. It's one central place to keep up-to-date information at everyone's finger tips! Cookies: This site uses Google Analytics cookies to count anonymous visitor use of this website.